Times & details for all events may be subject to change. Check back for latest information. Author Thom Nickels presents some of Philadelphia & The Main Line’s most iconic homes and the stories behind them. Our grand mansions and architectural treasures reflect the area’s iconic status in American history. Each Greek Revival home and Corinthian column tells a compelling story of the people behind it. Historic Strawberry Mansion in North Philadelphia was home to Judge William Lewis, a Patriot who defended colonists accused of treason and was Aaron Burr’s defense lawyer. Socialite, millionaire and world-renowned art collector Henry McIlhenny made his home at Rittenhouse Square and left his art collection to the Philadelphia Museum of Art. Famed architect Addison Mizner’s Spanish Colonial Revival house La Ronda brought the stark contrast of South Florida to Bryn Mawr, torn down not so long ago because of a lack of protective oversight. Also hear about Germantown’s mysterious Ebenezer Maxwell Mansion, which became the inspiration for the exterior of the popular Addams Family house, the historic Strawberry Mansion’s rise and fall, and the sad life of architect Thomas Nevell who designed one of Philadelphia’s greatest mansions, Mount Pleasant. 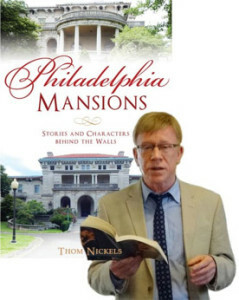 Thom Nickels is a Philadelphia-based author/journalist, poet and travel writer, the author of 11 published books, including: Out in History, Philadelphia Architecture. He was awarded the Philadelphia AIA Lewis Mumford Architecture Journalism Award in 2005 for his book Philadelphia Architecture and his regular columns are widely published in many Philadelphia magazines and newspapers. Co-sponsored by Radnor Memorial Library & Radnor Historical Society. Books for sale by Main Point Books. Discover the history that is hidden all around us! Eastern Pennsylvania, with its river valleys, mountains, and forests, is just as diverse historically as it is geographically. Hidden throughout the varied landscape are ghost towns, forgotten cemeteries, and other little-known historical places largely overlooked by most people. Abandoned or Forgotten: Overlooked Corners of Eastern Pennsylvania is a collection of several of these sites found throughout the eastern half of the state, both on and off the beaten path. 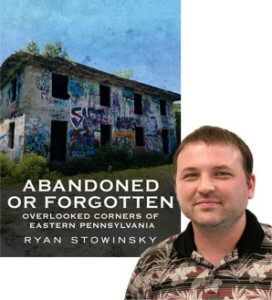 In his presentation tonight Stowinsky explores the ruins of a company town made entirely of concrete and discovers some little-known places and events from Pennsylvania’s days in the American Revolution. He roams among bunkers left over from World War II, and visits the site of one of the largest mine disasters in American history. Ryan Stowinsky has been visiting little-known historical sites, ghost towns, and other oddities in Pennsylvania and several other states for nearly two decades. His writings and photographs have appeared in several books, newspapers, television shows, and websites. He graduated from Misericordia University in Dallas, Pennsylvania, in 2012 with a dual major in history and education. He currently resides in North Carolina with his wife and two daughters, where he teaches social studies. 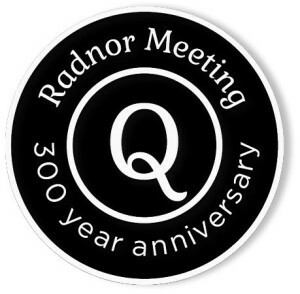 The community is invited to share in the 300th anniversary celebration of Radnor Township’s remarkable Quaker heritage. This historical lecture offers more than a snapshot in time… this evening we’re also sharing a birthday cake! As noted on its gable, the present-day Radnor Meeting House was erected in 1718, at 610 Conestoga Road by the Welsh Friends who for many years had met in private homes. During the American Revolution, the Continental Army used Radnor Meeting House as headquarters, hospital and outpost during the Valley Forge encampment. A division within the membership caused a dwindling in membership and its members joined with Valley Preparative Meeting. In 1930, a group of Friends united to reopen the Radnor Meeting House for regular worship, and later, in the 1960s, Douglas & Dorothy Steere, prominent figures in the Quaker movement in the 20th c., revitalized meetings even further. 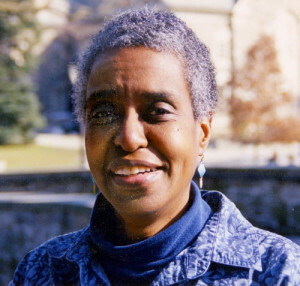 Dorothy Steere worked with the Civil Rights movement of the 1960s, while her husband, Douglas, was a writer, professor and diplomat, specializing in Quaker history, and taught philosophy at Haverford College. Emma Lapsansky-Werner, Ph.D, is Emeritus Professor of History and Curator of the Quaker Collection at Haverford College and a prominent Quaker speaker. After a one-year break in her undergraduate education to work in the Mississippi Civil Rights Movement, Lapsansky-Werner received her BA in History and her Ph.D. in American Civilization from the University of Pennsylvania. The author of numerous publications on Quaker History, including a contribution to the Cambridge Companion to Quaker Studies (2018), she also recently co-authored Struggle for Freedom, a college text on African American History, the third edition of which appeared in 2018. Having been an active member of the Organization of American Historians and of the Friends Historical Association, a board member of the Philadelphia Center for Early American Studies, and a past board member of Friends Central School, she currently teaches Quaker History and First-Year Writing at Haverford College. 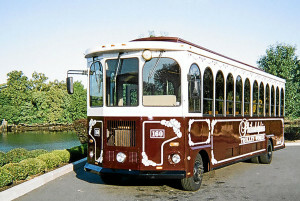 Co-sponsored by the Radnor Memorial Library, Radnor Friends Meeting, and Radnor Historical Society. Refreshments will be served. All are invited to join us in the plush surroundings of the old Woodcrest Mansion as we celebrate 70 years since RHS’s incorporation. Designed by Horace Trumbauer, and built c.1900 in a magnificent 230-acre estate as a luxury home for financier James W. Paul Jr., its history is interwoven with that of the upper echelons of both American society and English aristocracy. Our evening begins with optional guided tours by Nancy Costello, associated with Cabrini for many years, and currently Director of Communications and Website for the Missionary Sisters of the Sacred Heart of Jesus and on the Board of Trustees for Cabrini, who recounts entertaining stories of the estate’s past occupants and its fabled history. After the social hour and dinner our Keynote Speaker is RHS and Jenkins Arboretum board member Howard Holden, former Facilities Director at Cabrini, and Head Horticulturist for Adolf Rosengarten Jr. His illustrated presentation, “Wealth, Wayne & Woodcrest,” describes the evolution of the age of opulence here in our own back yard, and the significant impact that James Paul, George Childs, Anthony Drexel, John Dorrance and other prominent residents had on our area. Back by popular demand! After a 20-year labor of love, historian and author David Nelson Wren saw his sumptuous monograph published in 2017 by Bauer & Dean. 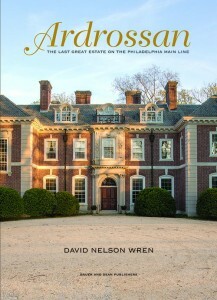 Wren’s book comprises the first about the history of Ardrossan, and assembles materials preserved at Radnor Historical Society, Montgomery-Scott-Wheeler archive, Historical Society of Pennsylvania, and Athenaeum of Philadelphia. As Ardrossan’s leading historian, David Nelson Wren has had unprecedented access to the estate and intimate family history. The author will present visual highlights of his book, its architecture, and the family that called it home for over a century. Co-sponsored by Radnor Memorial Library. Books will be available for purchase. Rush is the remarkable story of Benjamin Rush, medical pioneer and one our nation’s most provocative and unsung Founding Fathers. 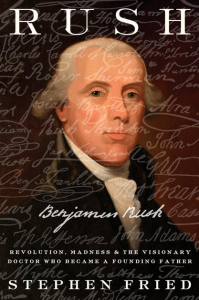 In this magnificent work, Benjamin Rush gets the biography he deserves, and readers get an expertly researched, splendidly written account of a brilliant, influential man and the times in which he lived. Dr. Rush was both a progressive thorn in the side of the American political establishment – a vocal opponent of slavery, capital punishment, and prejudice by race, religion, or gender – and protégé of Benjamin Franklin and George Washington’s surgeon general. Stephen Fried is a journalist and New York Times bestselling author who teaches at Columbia University Graduate School of Journalism and the University of Pennsylvania. He visited Radnor Memorial Library several years ago and talked about his historical biography Appetite for America. The author of many other books, Fried has written frequently for Vanity Fair, GQ, The Washington Post Magazine, Rolling Stone, Smithsonian, Philadelphia Magazine, and more. A two-time winner of the National Magazine Award, the author lectures widely on the subjects of his books and magazine articles. Co-sponsored by Radnor Memorial Library. Books available at the event, supplied by Main Point Books. The Junior League Larks bring seasonal joy with an a cappella performance of carols round the tree at the RHS HQ. Hot drinks, seasonal goodies and a special visit from Santa on his fire truck make this an unmissable family event. 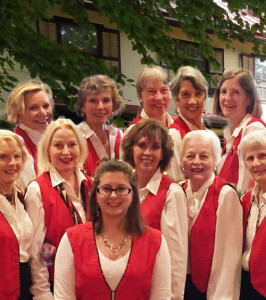 The Larks, The Junior League of Philadelphia’s longest running community outreach program, are a delightfully cheerful singing group who frequently perform for various community organizations. In their volunteer work they are constantly rewarded by bringing joy to others through their music. Co-sponsored by NWPA (North Wayne Protective Association). House decorations by CGCW (Community Garden Club at Wayne). Refreshments served. The dramatic story of the Third Reich – how Adolf Hitler and a core group of Nazis rose to power and plunged the world into a horrific war, perpetrating the genocidal Holocaust while sacrificing the lives of millions of ordinary Germans. 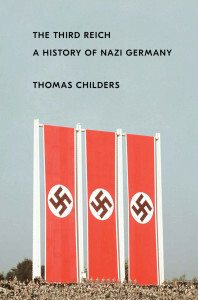 In The Third Reich, Thomas Childers shows how the young Hitler became passionately political and anti-Semitic as he lived on the margins of society. Fueled by outrage at the punitive terms of the Versailles Treaty that ended the Great War, he found his voice and drew a following. As his views developed, Hitler attracted like-minded colleagues who formed the nucleus of the nascent Nazi party. The failed Munich putsch of 1923 and subsequent trial gave Hitler a platform for his views, which he skillfully exploited. Between 1924 and 1929 Hitler and his party languished in obscurity on the radical fringes of German politics, but the onset of the Great Depression provided Hitler the issues he needed to move into the mainstream of German political life. He seized the opportunity to blame Germany’s misery on the victorious allies, the Marxists, the Jews, and big business – and the political parties that represented them. By 1932 the Nazis had become the largest political party in Germany. Although Hitler became chancellor in 1933, his party had never achieved a majority in free elections. Within six months the Nazis transformed a dysfunctional democracy into a totalitarian state and began the inexorable march to World War II and the Holocaust. It is these fraught times that Childers brings to life: the Nazis’ rise to power and their use and abuse of power once they achieved it. Based in part on German documents seldom used by previous historians, The Third Reich charts the dramatic, improbable rise of the Nazis; the suffering of ordinary Germans under Nazi rule; and the horrors of World War II and the Holocaust. This book has been described as the most comprehensive and readable one-volume history of Nazi Germany since the classic Rise and Fall of the Third Reich. Thomas Childers was formerly the Sheldon and Lucy Hackney Professor of History at the University of Pennsylvania and the recipient of numerous fellowships and awards. Childers has held visiting professorships at Trinity Hall College, Cambridge, Smith College, and Swarthmore College, and he has lectured in London, Oxford, Berlin, Munich, and other universities in the US & Europe. He is the author or editor of several books about modern German history and the Second World War. ‘Valley Forge’ Co-Author Bob Drury: The story of the Continental Army’s six-month transformation into a professional fighting force. In their brand new book best selling authors Bob Drury, who presents at this event, and Tom Clavin relate how this miraculous metamorphosis was accomplished despite thousands of American soldiers succumbing to disease, starvation, and the elements. Baron von Steuben is throwing himself into the dedicated drilling sessions he imported from Prussian battlefields. Alexander Hamilton is proffering the shrewd advice that wards off his beloved commander-in-chief’s scheming political rivals. John Laurens is determined to integrate the Continental Army with freed black men and slaves. Marquis de Lafayette is thirsting for battlefield accolades while tenaciously lobbying his own king for crucial French aid. At the center of it all is George Washington, in the prime of his life yet confronting crushing failure as he fends off political conspiracies every bit as pernicious as his incessant military challenges. The Virginia planter-turned-general is viewed by many as unqualified to lead the Continental Army after the humiliating loss of Philadelphia, and his detractors in and out of Congress plot to replace him. The Valley Forge winter is a last chance for redemption. After six months in the camp (spoiler alert! ), Washington fulfills his destiny, leading the Continental Army to a stunning victory in the Battle of Monmouth Court House. The momentum is never again with the Redcoats. 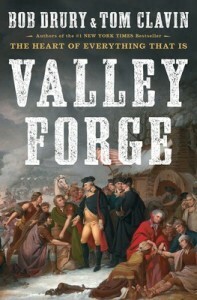 Valley Forge is the riveting true story of a nascent United States toppling an empire. Using new and rarely seen contemporaneous documents, and drawing on a cast of iconic characters and remarkable moments that capture the innovation and energy that led to the birth of our nation, Drury tonight provides an introduction to their definitive account of this seminal moment in the battle for American independence, and dispels a few well-worn myths in the process. Books for sale, supplied by Main Point Books. 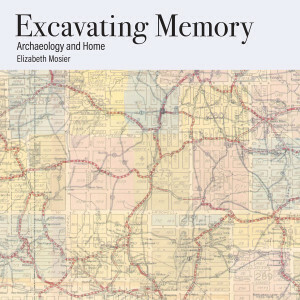 In Mosier’s new book, Excavating Memory, archaeology is used as a framework to explore personal material, including her mother’s memory loss, the layering of shared experience in creating family or community narratives, and the role that artifacts play in historical memory. Her talk will explore what she learned at the archaeology lab–that heirlooms and everyday objects are material evidence, full of meaning that can help us realign the deeper truth of experience with the stories we tell ourselves about who we are and how we live. Novelist and essayist Elizabeth Mosier logged 1,000 volunteer hours processing colonial-era artifacts at Philadelphia’s Independence National Historical Park Archaeology Laboratory to write Excavating Memory: Archaeology and Home (New Rivers Press, 2019). A graduate of Bryn Mawr College and the MFA Program for Writers at Warren Wilson College, her nonfiction has been selected as notable in Best American Essays and appears widely in journals and newspapers including Cleaver, Creative Nonfiction, The Philadelphia Inquirer, and Poets and Writers. She writes the Intersections column for the Bryn Mawr Alumnae Bulletin. Selected by Thomas Jefferson to lead Lewis & Clark’s expedition of 1804-6 to explore the Louisiana Purchase, Meriwether Lewis was later rewarded by Jefferson with the governorship of the entire Louisiana Territory. Within three years Lewis found his career in tatters, and while returning to Washington he died mysteriously in a crude cabin in Tennessee. Without investigation of any kind, Jefferson, Lewis’s mentor from boyhood, asserted in a memoir that serious depression and alcoholism led to Lewis’s suicide. 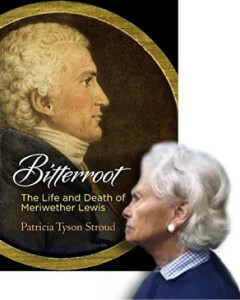 Most historians have agreed with Jefferson, but Patricia Tyson Stroud presents evidence to suggest Lewis’s discovery, the beautiful rose-colored bitterroot flower from that portion of the Rockies known as the Bitterroot Mountains, with its nauseously pungent root, produced an even darker ending for Lewis. Without doubt he died a violent death, but Stroud’s evidence is a fascinating addition to the 200 year old story of impressive accomplishments in such a short life, in the face of physical hardship and huge emotional challenges. Patricia Tyson Stroud has twice been winner of the Literary Award from The Athenaeum of Philadelphia and is a past honoree among the Best Books of the Year 2000 from the Library Journal. She is author of Thomas Say: New World Naturalist; The Emperor of Nature: Charles-Lucien Bonaparte & His World; The Man Who Had Been King: The American Exile of Napoleon’s Brother Joseph; and, with Robert McCracken Peck, A Glorious Enterprise: The Academy of Natural Sciences of Philadelphia & the Making of American Science.